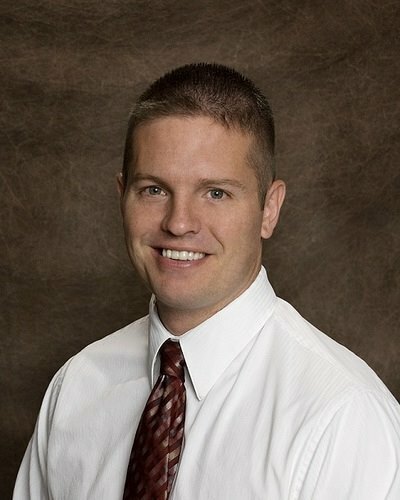 Dr. Read has many hours of post graduate studies in the areas of sports injuries and exercise/rehabilitation. He is also certified by the state of Wisconsin to provide nutrition counseling. Dr. Read’s education and experience allows him to develop a healthcare solution that is tailored to your specific needs. This approach is successfully used to get you out of pain and back to doing the things you enjoy as quickly as possible. Our Doctor is active in motivating and educating those around him to make healthier lifestyle decisions. Dr. Read is often a featured speaker at community businesses doing various presentations on health related topics. In his time away from the office, Dr. Read can be found spending time with his wife Renee and their two sons, hiking around Lake Michigan, in Door County or walking the trails at High Cliff State Park. He also spends much time training his German Shepherds and is active in various obedience and tracking competitions. Dr. Read is also an active member of the community through various service organizations. As a former Rotarian, former Appleton Fox Cities Kiwanian, Dr. Read is able to give back to the community through the many events they hold including: Golf Fore Children, Appleton Old Car Show & Swap Meet, Help for Homeless, Community Clothes Closet and others. Whether you’ve been injured in an auto accident or sporting event, or have pains you have no idea how you got, Dr. Read and the staff at Kiger Steffes Chiropractic look forward to helping you get back to the things you enjoy in life. Thank you for visiting our site. I look forward to meeting you in person and learning how our office may be of service to you. I’d love to meet you and answer your questions. Give us a call today.